In recent years, China's agrochemicals market has been experiencing an overall downturn and the increase of environmental protection pressure. 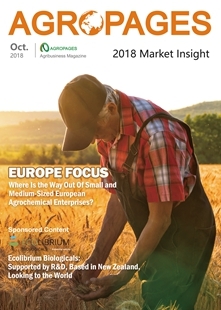 Many agrochemical companies have shifted their core competiveness to technology research, development and innovation to cope with such unfavorable situation, which in turn, imposes considerable financial pressure on these companies. To tackle such a problem, many Chinese agrochemical companies choose to enter the capital market to raise funds to support their further development. According to the statistic data of AgroPages.com, there are 23 Chinese agrochemical enterprises entering the capital market from 2014 to 2016, including 17 companies on Chinese New Third Board. What are the key projects to be implemented with the funds raised by these companies? What are the characteristics of their business distribution? AgroPages attempts to help readers understand the strategic thinking of these companies and the development trend of varieties through tracking and analyzing such IPO-financed projects. According to incomplete statistics, there are 6 agrochemical companies listed on China’s A-share in last three years, namely Limin Chemical Co., Ltd. (002734), Sichuan Guoguang Agro-chemical Co., Ltd. (002749), Anhui Guangxin Agro-chemical Co., Ltd. (603599), Suli Co., Ltd. (603585), Jiangsu Flag Chemical Industry Co., Ltd. (300575) and Hailir Pesticides and Chemicals Group Co., Ltd. (603639). The IPO-financed projects of these six listed companies are as shown in Table 1. Anhui Guangxin Agro-chemical Co., Ltd.
Limin Chemical Co., Ltd. is planning to use the raised fund mainly for expanding the production capacity of its leading products such as mancozeb and cymoxanil. The “25,000t/ yr complexed mancozeb TC and series formulations upgrading project” can reduce the consumption of major raw materials and thereby decrease the production cost of complexed mancozeb. The “2,000 t/yr cymoxanil TC and WDG project” is conducive to further enhance the company’s supply capacity and secure its first place in production capacity of cymoxanil in China. Sichuan Guoguang Agro-chemical Co., Ltd.
Sichuan Guoguang Agro-chemical Co., Ltd. is planning to use the raised fund mainly for newly building the PGR(Plant growth regulator) TC and formulation production line. PGR functions to improve crop quality quickly with small amount and increase crop yield and growers’ income. It is one of the novel pesticides essential for modern planting. At present the research and application of PGR are in a rapid development stage. Guoguang Agro-chemical has a superior comprehensive advantage over foreign competitors in terms of manufacturing technology and application technology. The implementation of afore said project will help to consolidate the company’s leading position in PGR segment. Anhui Guangxin Agro-chemical Co., Ltd. planed to further expand the production capacity of its leading product - diuron. 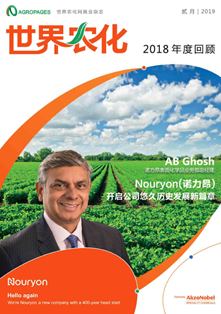 Guangxin Agro-chemical is one of the key Chinese producers of carbendazim, thiophanate-methyl and diuron products and one of the several professional producers holding proprietary synthesis technology of diuron in China. The company’s IPO financed projects include “8,000 t/yr diuron project”, “3,000 t/yr series sulfonylisocyanate project” and “10,000 t/yr thiophanate-methyl project”, aiming to enhance the production capacity of competitive products and occupy greater market share and development space. But due to the low capacity of diuron and thiophanate-methyl, Guangxin Agro-chemical changed the two projects to “200,000 t/yr p(o)-nitrochlorobenzene project”. Suli Co., Ltd. is planning to expand its production capacity of formulations. Sulli is a world leading producer of chlorothalonil and the largest pesticide azoxystrobin producer in China. However the main products of the company such as chlorothalonil and azoxystrobin have been sold mainly in the form of TC instead of formulations. 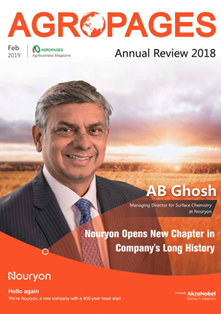 Among the company’s IPO financed projects, the “10,000 t/yr pesticide formulations construction project” and “9,000 t/yr pesticide formulations upgrading project” will help to increase the production capacity of formulations; the “1,000 t/yr azoxystrobin TC construction project” can meet the need of formulations production by itself with the surplus for sales; the “9,000 t/yr pesticide formulations upgrading project” can promote the balanced development of a variety of formulations, and thus exert the synergies of multiple products. 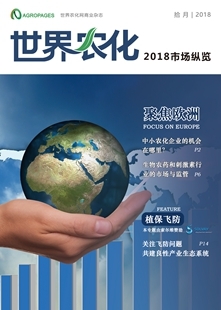 Jiangsu Flag Chemical Industry Co., Ltd. is focusing on a novel pesticide - boscalid. The “Novel Pesticides Project of Huaian Guorui Chemical Co. Ltd.” of Jiangsu Flag Chemical Industry Co., Ltd. includes “Newly built 300 t/yr 96% boscalid fungicide project”, “Newly built 2,000 t/yr 98% dicamba herbicide TC project” and “Newly built 5,500 t/yr green formulation project”. The main products of the IPO financed projects are the novel pesticides with good market prospects such as boscalid, the first major type among pyridine amide fungicides which went off patent in 2012 and presently occupies a market share of 58%. However, there is no pyridine amide producer in China yet, which provides a good opportunity for the project. With the successful development of dicamba resistant genetically engineered crops by Monsanto and other international seed giants, the global demand for dicamba is bound to increase further, which will provide a good development opportunity for increasing the dicamba production capacity. Hailir Pesticides and Chemicals Group Co., Ltd. is focusing on enhancing the production capacity of water-based formulations. 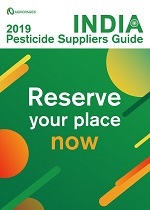 With increasingly stringent regulatory requirements of the state and the improvement of people's safety awareness, efficient and environment-friendly water-based formulations with low toxicity will be the development trend of pesticide industry. Upon the completion and operation of the IPO financed projects, Hailir will be able to greatly increase the production capacity of its water-based formulations, further expand and improve its product mix to better meet the fast-growing market demand and improve the overall profitability of the company. It can be easily concluded the IPO financed projects of above-mentioned companies are targeting to their main businesses by strengthening and expanding the production capacity of novel pesticides. With the improvement of environmental awareness and the implementation of sustainable development strategies, novel pesticides with high efficiency, low toxicity, low residue and environment-friendliness gradually become the development trend of the industry, which can be proved by the IPO financed projects. 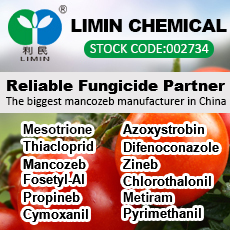 Both the mancozeb and cymoxanil of Limin Chemical Co., Ltd. and the nicotinamide fungicides-boscalid of Jiangsu Flag Chemical Industry Co., Ltd. are novel, broad-spectrum pesticides with low toxicity. Different from the development path of increasing production capacity adopted by the 6 agrochemical companies in China's A-share Market, the agrochemical companies listed on China's New Third Board, which requires relatively low threshold, present the characteristic of more accurate product positioning. New Dragon Biotech Co., Ltd.
Oxyfluorfen, picloram, imazapyr tebuconazole, azoxystrobin, etc. Ningxia Dongwu Agrochemical Co., Ltd.
Jiangsu Tuoqiu Agriculture Chemical Co., Ltd.
Shandong Lvbang Crop Science Co., Ltd. Capable of TC synthesis and formulations processing for crop protection products covering herbicides, fungicides, insecticides, etc. 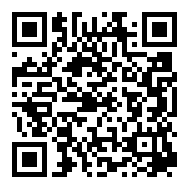 Anhui Chaonong High-tech Chemical Co., Ltd.
Chengdu Green Gold Hi-Tech Co., Ltd.
Bio-pesticides such as neem oil and Jinlian organic fertilizers, etc. 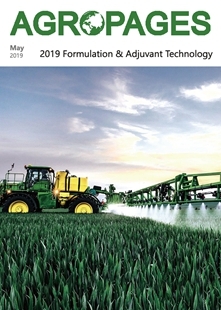 Anhui JuKai Agrochemical Co., Ltd. is currently the largest sulfonylurea herbicide TC producer; Shandong Luba Chemical Co., Ltd possesses a whole industry production chain of pyridine → pyridine intermediates → pesticide TC → pesticide formulations; Ningxia Dongwu Agrochemical Co., Ltd. is the world's largest nicotinic pesticide intermediate producer; Shandong Lvbang Crop Science Co., Ltd. is committed to “being the most professional dry farmland herbicide company in China” by focusing on “wheat and maize” herbicides. It can be seem from the highlighted businesses of above-mentioned companies listed on New Third Board that these companies, due to limited fund, have chosen a development path of “to be dedicated, excellent and then strong” so as to have a more accurate product positioning. Through being dedicated in the main products based on accurate positioning, associative effects can be generated between the main products and company brand. Many New Third Board listed companies become the cooperation partners of the A-share listed companies by way of equity participation after they become excellent. 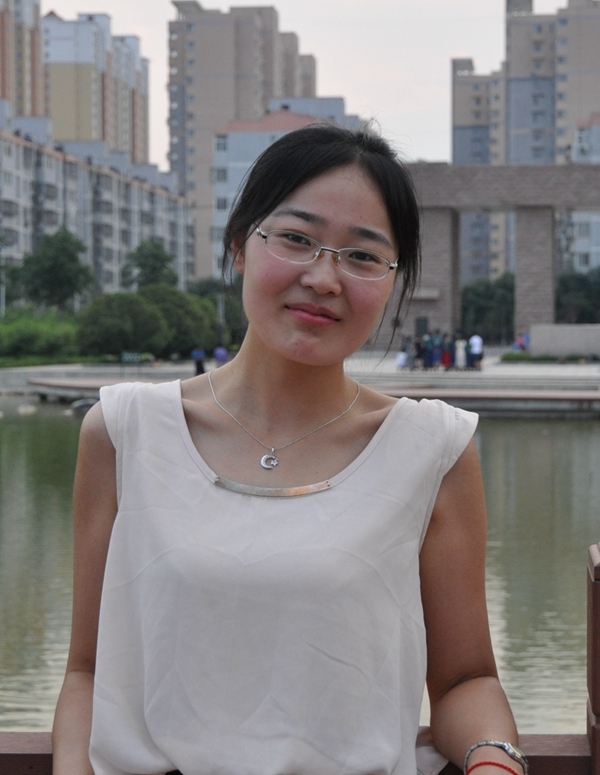 Another business development feature of Many New Third Board listed companies is the increasingly close cooperation between enterprises and research institutes which serves to promote the industrial upgrading. Taking New Dragon Biotech Co., Ltd. as an example, it is the first insect virus pesticide enterprise in China jointly established by New Dragon Biotechnology Co., Ltd. and CAS Wuhan Institute of Virology. The patented mamestrabrassicae multiple NPV (MbNPV) is the flagship product of New Dragon Biotech Co., Ltd. with good competitive edge registered based on the proprietary technology input by Wuhan Institute of Virology. Besides, the novel fungicide zinc thiazole jointly developed by Xinnong Chemical and Zhejiang University of Technology is highly recognized after launched in the market and vindicate Xinnong Chemical’s status in the industry. In summary, from the perspective of business development, the companies listed on A-share mainly focus on production capacity expansion of competitive products while those listed on New Third Board focus on “being small but excellent” and the integration of enterprises and research institutes to seek breakthroughs with competitive products. Although the specific business development approaches are different, all listed companies’ products bear the features of low toxicity, high efficiency and environment-friendliness. Under the circumstance of increasing pressure in terms of environmental protection, the research and development of green pesticide varieties as well as production capacity increase can be the smart choices. 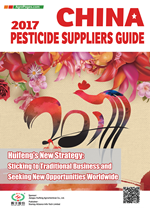 Please download AgroPages' latest magazine - 2017 China Pesticide Suppliers Guide to see more.